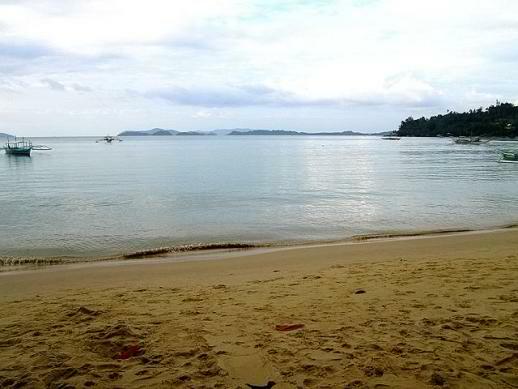 Port Barton Palawan is located in the north-western part of the province belonging to the municipality of San Vicente. The mountains surrounding the cove is home to the Bataks – one of the three indigenous tribes in Palawan. To get there takes round 3 hours from Puerto Princesa City and an hour from the municipality of Roxas. San Vicente has just open its domestic airport and connected Port Barton to its town center by land. I first visited Port Barton Palawan in the late 80’s. It was there that I first tasted Palawan’s fresh lobster. Poor thing. Port Barton has laid back feel. The many islet in front of the cove renders the bay water mostly calm and spreads like a panoramic view of a lake. A serene character of the place coupled with a warm welcome from Elsa’s Inn seals the deal. It’s just really the mangrove midges I dislike. If you’re not lured by the site below then you’re safe. If you do like the adventure, then put on some long sleeve shirt, a bonnet, long pants and shoes. Meaning to say, no flesh exposed while cruising the mangrove river. This is where the midges or nik-nik hides. The usual nik-nik free tours are the island hopping, snorkeling, walking towards the waterfalls, and swimming at the center beach where most of the tour facilities are (restaurants, accommodations, tour info center). There are at least 10 islands/islets you can hop for swimming and snorkeling within your stay at Port Barton. Or, You can have an hour and a half of walk to Papuywan Waterfalls. And another 20 boat ride to Bigahu Waterfalls with a kilometer of walk and a 100-meter of trekking and climbing. 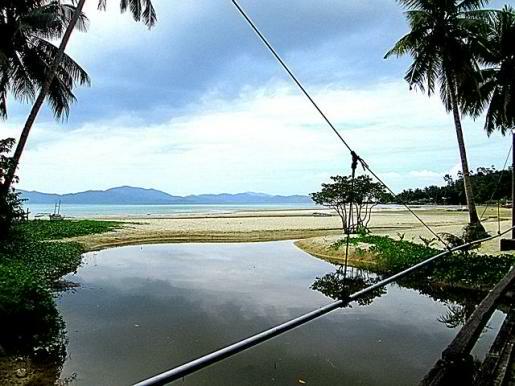 Port Barton Palawan is a no-hype, non-luxury tourist destination. You can enjoy it as it is. The other side of Port Barton Cove. My trips to Port Baton always has work related things to do with it. 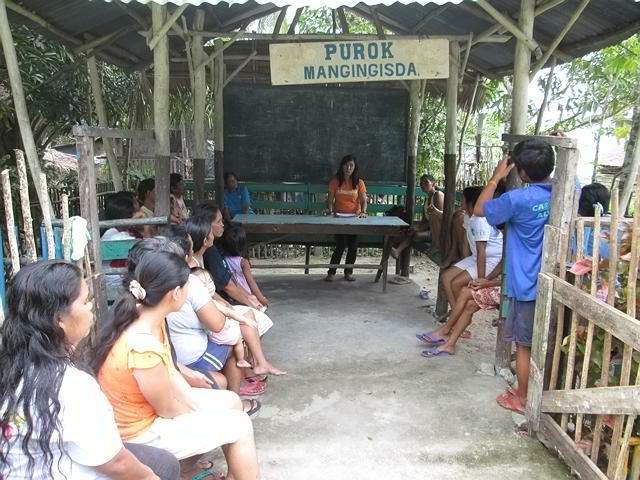 The last time I went there was to join a community meeting on Community- based Livelihood Project Loan Scheme. The Project Fund is facilitated and exptended by the Palawan Center for Appropriate Rural Technology (PCART). Members of the community are allowed to identify their enterprise of choice and submit it for funding. One of the main purpose of the project is to provide coastal communities such as Purok Mangingisda in Port Barton an alternative livelihood, an additional source of income, in the hope that they will protect and manage their immediate environment and even gain more from it in the long run. At present, some community folks are making wood charcoal using mangrove trees as their source of income. That is one of the reasons PCART initiated a community-manage project. It is to entice people to establish sustainable sources of income instead of employing indiscriminate extraction of their natural resource. 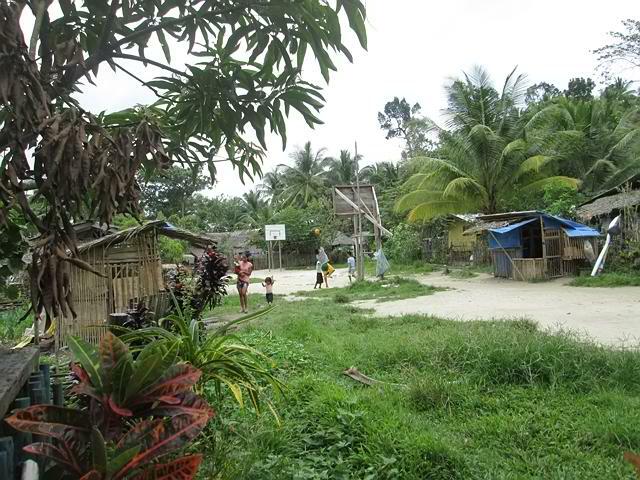 Cutting of mangrove trees is illegal but some people among the marginalized sectors do it to survive poverty. 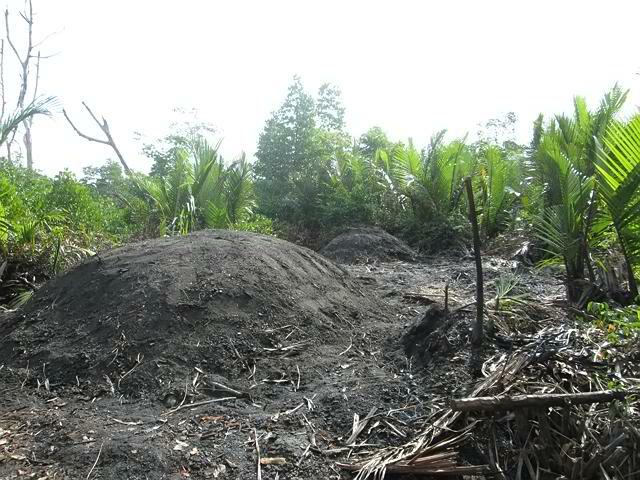 Although I dislike the mangrove midges, livelihood activity such as wood charcoal making is very destructive. 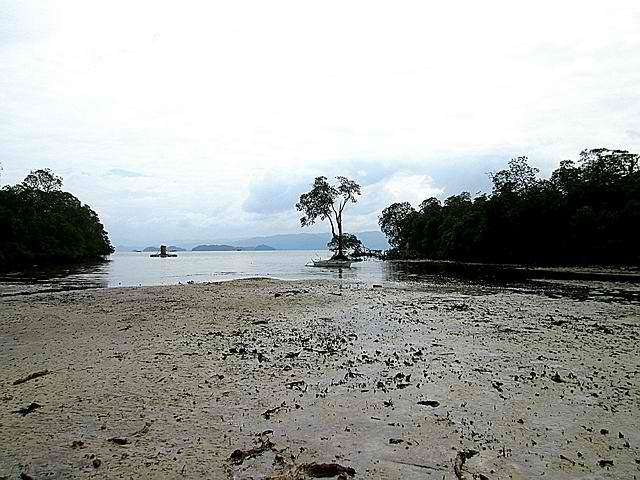 Mangrove trees is the most important element in the coastal areas. It provides shelter to migratory birds and other animals. It a major spawning area for fish. 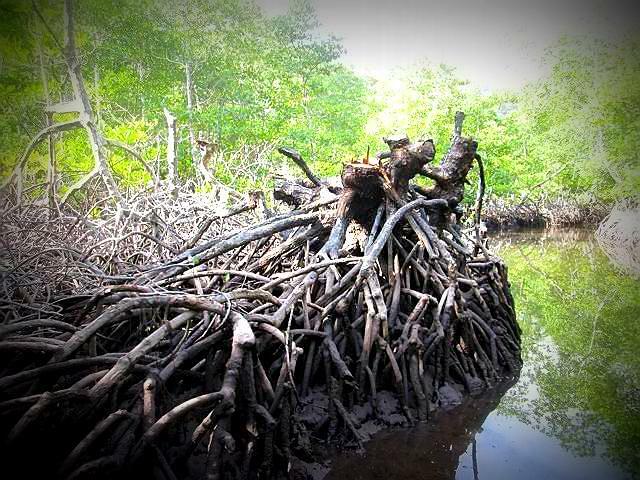 Mangrove also serves as barriers to ocean disturbances, such as typhoons, winds, waves and floods. Mangrove act as screen during heavy siltation. It saves the corals from being covered with mud. Thus, saving the coral-fish population. 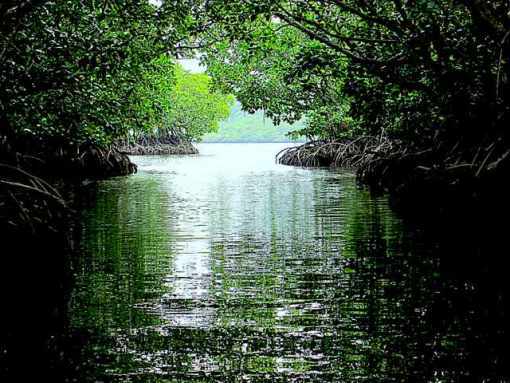 Without the mangrove trees snorkeling will not be enjoyable. This is why I like to get into the heart of the community of most tourist destinations. In my opinion, this is how ecotourism should be. Site seeing is awesome. Luxury hotels and resorts are good for relaxation and vacation moments. But mingling with the community and discussing solutions to the challenges they’re facing offers a different kind of experience. Contributing to the preservation and protection of what we enjoy to have during our relaxing vacations is true paradise. Meet Manong Willyn, one of the Bataks, the concierge of this part of the bounty called Palawan, the country’s Last Ecological Frontier. He is soon to be PCART’s beneficiary of their soft loan project. He plans to establish an organic vegetable farm. And soon we will be able to visit and tour on Manong Willyn’s Organic Farm, enjoy his organic vegetable produce, and maybe go fishing with him. Manong Willyn’s farm will soon become the first community-based agri-tourism showcase in Port Barton Palawan. I hope Port Barton Palawan stays as it is today. No more distractions.